John Llewellyn Lewis, the son of immigrants from Wales, was born in Iowa on 12th February, 1880. At fifteen he found work as a miner in Illinois. He joined the United Mine Workers of America (UMWA) and eventually was elected branch secretary. In 1911 Lewis left the mines to become an organizer for the American Federation of Labour (AFL). In 1917 he was elected vice president of the UMWA. Three years later he became president of what was then the largest trade union in America. In 1921 Lewis, with the support of William Z. Foster, failed in his attempt to challenge Samuel Gompers for the presidency of the American Federation of Labour. With growing unemployment, membership of the UMWA fell from 500,000 to less than 100,000 in the 1930s. In 1935 Lewis joined with the heads of seven other unions to form the Congress for Industrial Organisation (CIO). Lewis became president of this new organization and over the next few years attempted to organize workers in the new mass production industries. This strategy was successful and by 1937 the CIO had more members than the American Federation of Labour. Lewis had been a Republican but supported Franklin D. Roosevelt in the 1932 and 1936 presidential campaigns. Although Lewis favoured many aspects of the New Deal, he was opposed to Roosevelt standing again in 1940. Lewis threatened to resign as president of the Congress for Industrial Organisation if Roosevelt was elected. He carried out this threat but retained his leadership of the United Mine Workers of America. In the 1940s Lewis led a series of strikes that resulted in increased wages for miners. This resulted a growth in union members to 500,000. Congress responded to the success of unions such as the UMWA by passing the Taft-Hartley Act (1947) that placed new restrictions on trade unions. Lewis held the post of president of the United Mine Workers of America until 1960. 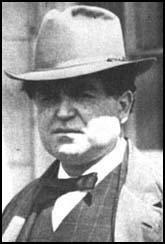 John Llewellyn Lewis, who served as chairman of the UMWA's Welfare and Retirement Fund after his retirement, died in Washington on 11th June, 1969. The labor movement recognized in the NRA a charter for organizing the unorganized: the more forward-looking of the labor leaders like John L. Lewis and Sidney Hillman understood that the great unorganized mass-production industries could be organized only along industrial union lines, although this ran counter to the craft union ideology of the AFL's top officialdom. Lewis, Hillman and others formed a committee inside the AFL to promote industrial unionism. This brought them into open conflict with the top bureaucracy and led to their expulsion and the formation of the Committee of Industrial Organizations, the CIO. For years the Communists had been plugging doggedly and al¬most alone with their small industrial unions. Now they found their ideas and slogans taken up by powerful forces. With years of experience behind them, with their skeleton union organizations in many industries, and with their widespread contacts, the Communists got in on the ground floor of the burgeoning movement. Yet we were not totally isolated. Other forces opposed the war too. 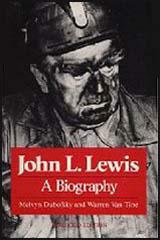 Among these was John L. Lewis, who had broken with FDR for his own personal reasons, not shared by most of the miners. A strong isolationist current existed in America, as well as the traditional pacifist trend, and now we sought allies here. We often found ourselves in strange company, with some of the most reactionary, anti-labor and pro-fascist elements who were part of the isolationist America First Committee. But while we located some new friends, we had become estranged from the mainstream of American democratic and progressive life. Many people had looked upon us with trust. This we now lost, and were never able to win it back fully even when circumstances changed again.